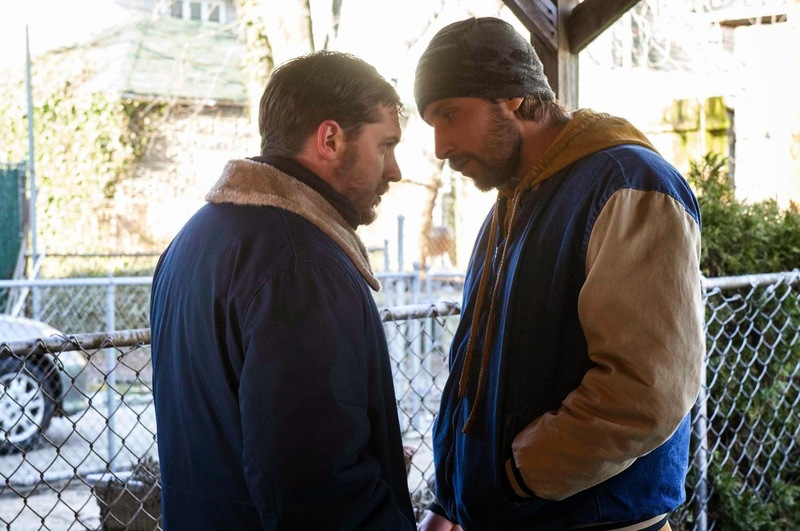 Although the premise for the crime drama THE DROP sounds dark, gritty and captivating, I am woman enough to admit that I most want to see it because Tom Hardy and Matthias Schoenaerts are in it. Yeah, I said it. Before you judge me, have you seen Schoenaerts in Rust and Bone? Because...yeah. THE DROP is a new crime drama from Michaël R. Roskam, the Academy Award nominated director of Bullhead. Based on a screenplay from Dennis Lehane (Mystic River, Gone Baby Gone), THE DROP follows lonely bartender Bob Saginowski (Tom Hardy) through a covert scheme of funneling cash to local gangsters - "money drops" in the underworld of Brooklyn bars. Under the heavy hand of his employer and cousin Marv (James Gandolfini), Bob finds himself at the center of a robbery gone awry and entwined in an investigation that digs deep into the neighborhood's past. Also featuring Noomi Rapace, Matthias Schoenaerts, Ann Dowd and John Ortiz. I'm guessing there's some kind of love triangle happening (or Rapace's character is playing all sides), and I'm just going to have to pretend that I play Rapace's part in order to enjoy the scenario even more. THE DROP hits theaters September 12.